The Bay of Plenty Mathematical Association (BOPMA) is a voluntary group of mainly secondary school teachers who meet from time to time. BOPMA has been representing mathematics teachers in the wider region for many years. The region includes the Western Bay of Plenty, Eastern Bay of Plenty, Rotorua, and extends south to Taupo. It is a dynamic servant of mathematics education in the region. In its affiliation to the national body, the New Zealand Association of Mathematics Teachers (NZAMT), it facilitates national co-operation. The Bay of Plenty Mahematics Association runs the annual inter-school MathsMind, a lively contest in which Year 9 and Year 10 students answer as many questions as possible in a set interval of time. Other activities are mainly centred on professional development for fellow colleagues, the main event being the annual Mini Conference. Three committee meetings are held throughout the year. Each school is invited to send one, or more, representatives to these meetings. 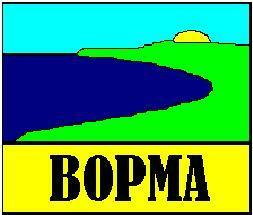 Funding the operations of BoPMA comes from (a) donations and (b) fees from schools. The fees from schools are agreed to by the Committee, the group of Heads of Mathematics for the region. The fees are $90 for schools with rolls 1000, or more, and $70 for schools under 1000. This one-off fee pays for both the annual subscription to BOPMA and for MathsMind, regardless of the number of teams entered for MathsMind.